Efforts to discover plastic-eating worms, develop decomposition technology. November. 03, 2018 07:21. by Jae-Yeong Yoo elegant@donga.com. One of the research projects that draw attention to process and treat plastic waste, which has become a major global headache, is the discovery of worms that eat and dispose of plastic. Dr. Federica Bertocchini, a biologist at the Institute of Biomedicine and Biotechnology of Cantabria in Spain, and researchers at the University of Cambridge accidently spotted the larva of wax worms (Galleria Mellonella) puncture plastic bags and eat them in April this year. In an experiment in which the larva was kept in a plastic bag for 12 hours, the scientists confirmed that the weight of the plastic bag declined by 92 milligrams. The scientists concluded that the larva of wax worms that comfortably eat beehives mistook plastic and vinyl that have similar chemical structure as their ordinary feed. 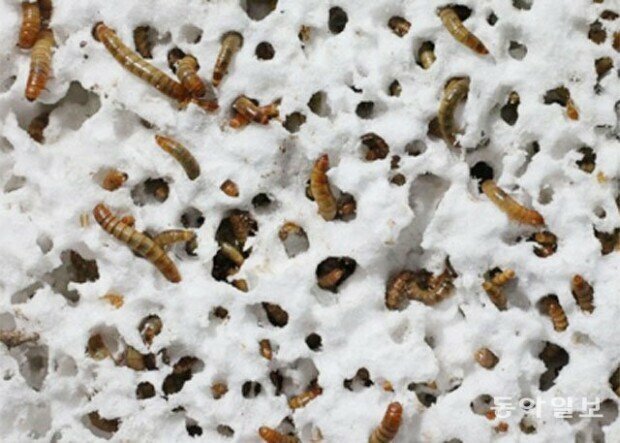 Earlier in 2015, scientists at Stanford University found that the larva of mealworm beetle can consume polyethylene, a type of plastic, and biologically degrade it. They also learned the larva transforms what it eats into carbon dioxide and feces to excrete. 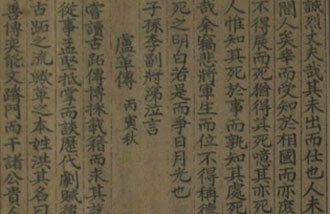 In Korea, a research team led by biochemical engineering prof. Professor Lee Sang-yup at KAIST discovered in January this year an eco-friendly fundamental technology that allows for production of aromatic polyester by fermenting engineered colon bacillus. The team also successfully developed enzyme that increases the capability to decompose polyester by 32.4 percent. Scientists around the world are researching technology that enhances the speed of plastic degradation by combining various biological and chemical techniques, because microorganisms are unable to decompose plastic as fast as plastic is consumed.